Cloud, we all have cloud storage in our smartphone. You can easily retrieve your all data by only syncing to cloud. How your data automatically go there. Why we need this. Is our data really go to the clouds. Cloud storage is a storage system in which we can access or store our data by using internet only, not by any hardware devices. Cloud computing is invented by Joseph Carl Robnett Licklider. It is maintained or operated by many companies by virtualization techniques. In companies, there are lots of data which is difficult to handle in hard drives. So these companies charge them for maintaining their data in the cloud, and also apply security encryption for their data privacy. You can retrieve your data anywhere. Why we need cloud storage? Being in the technical world where everyday new technology devices come for making our work comfortable. For example, now we don’t need a bulky book to store our data in shops, bank, hospitals. Also, high-quality pictures take lots of memory in our phones. This provides back up space in our gadgets by securing our old data anywhere else. How our data goes to the cloud? How does my cloud work in our mobiles and computers? The smartphones automatically upload your data to cloud space by adjusting your device settings to sync up with my cloud. Then this data will go to master control data server which is situated far away in a data center. This data server is accessed by the company. This master control server then sends the file to many servers in the company, to make a copy of the file. Because they don’t take a chance if a file destroys or lost. The network computer in this area makes communication with special software. 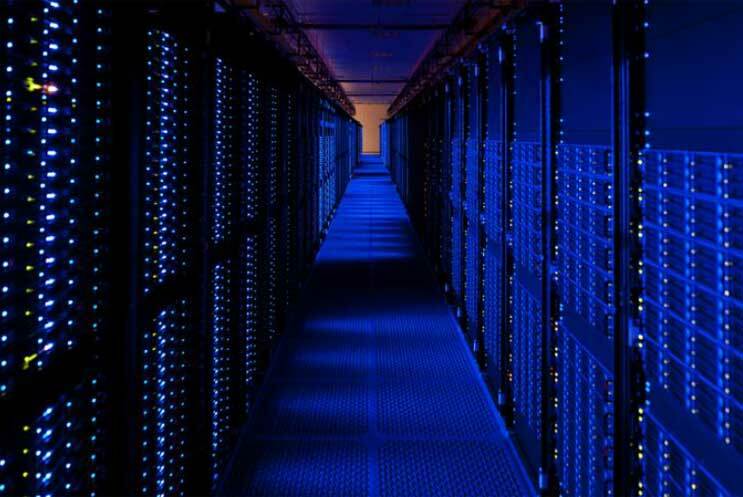 This is the picture of data servers, where our file stores presented by Amazon. Google Drive: A cloud computing storage with online applications like Google Docs, Google Sheets, and Google Slides. Amazon Cloud Drive: Basically known for music storage. What are the challenges faced by Cloud storage? When giving our money in a bank we ensure ourselves that our money is safe in our account. No one can get our money without our permission. This is also a matter of concern here. Why company give its private data to store anywhere without having any security. So, To secure data these companies use lots of security techniques. Encrypt the Data: Encryption is a technique to change the data in certain non-understandable codes So that no one can read and access this data. This is done by applying many algorithms on the data. e.g. DATA is encrypted as 41201. This is changed into its alphabetic series number. Authentication: Authentication means a power of ownership. In this software generate a username and password for your data. Only when you enter correct username and password you can get your information. It’s like giving a signature in the bank. Reliability is just as important as security. While most cloud storage systems try to address this concern through redundancy techniques, there’s still the possibility that an entire system could crash and leave clients with no way to access their saved data. How Train stop when we pull the emergency break chain? What kind of break system used by train? What is MRI machine? How Does It Work?